The client, a wealth management company, presented our team with an intriguing design challenge. It needed a solution that reflected its unassuming external brand – it doesn’t advertise in any fashion – but also conveyed the indispensable value it provides as a trusted partner responsible for managing nearly $60 billion of committed capital for its clients. Ultimately, our team found inspiration for the successful design solution in the geode. On the outside geodes have a rough, dark, rich textural quality of surface reflecting strength and presence. Yet on the inside, they offer beautifully light-filled crystals and facets that illuminate and engage. The designed space reflects this idea by turning the geode inside out. 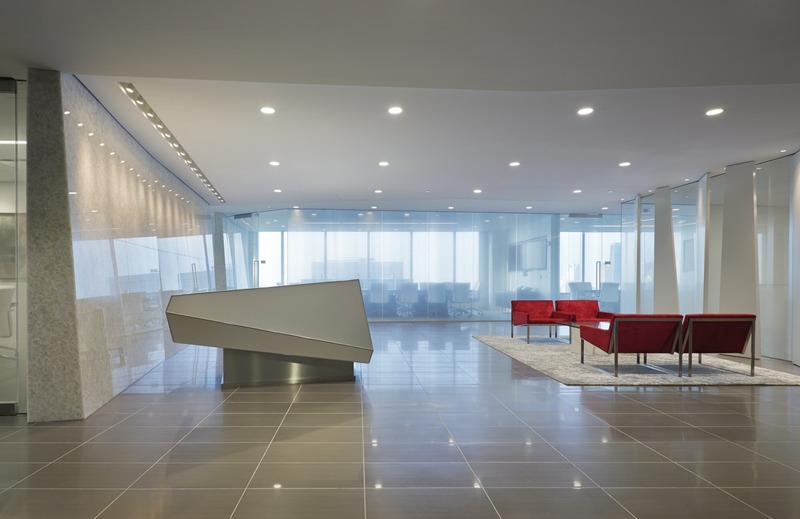 A near-black felt wall covering is used at the building’s core to represent the unassuming rock shell. As one leaves the elevator lobby, cracking into that shell, it is an experience akin to discovering the brilliance within a geode. The angles of walls and screening elements play off each other with a crystalline structure. A wall of quartz refracts brilliantly while the light quality otherwise is diffused, ethereal. 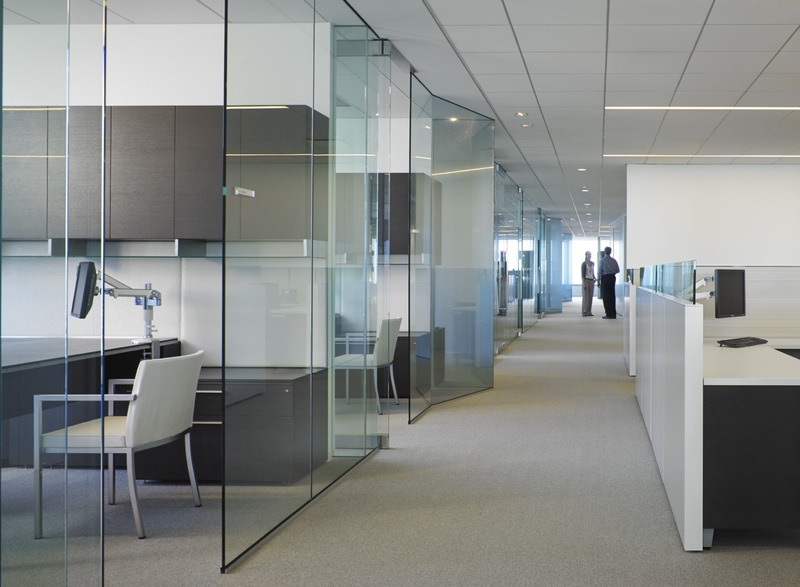 This design complexity persists throughout the office with faceted walls that fold and reflect, materials selected for their ability to engage light, and wood walls richly grained to contrast. 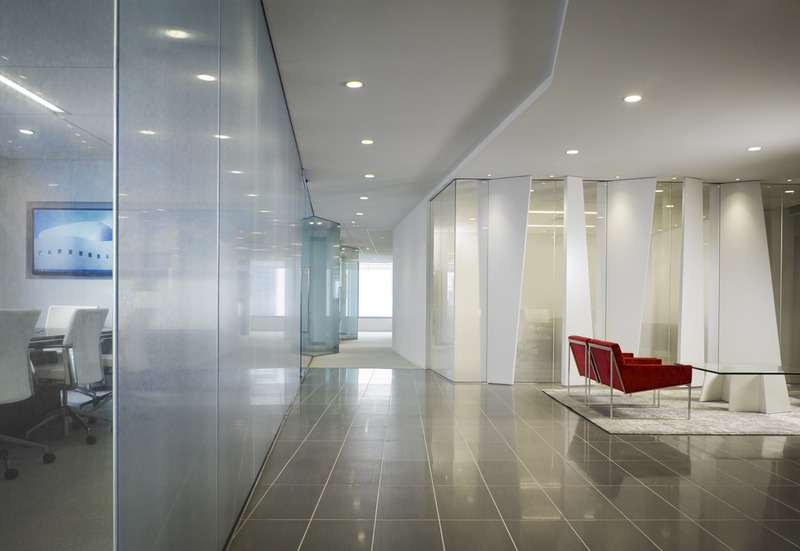 Accent glass walls have metal particles embedded within causing their opacity to change with the light. 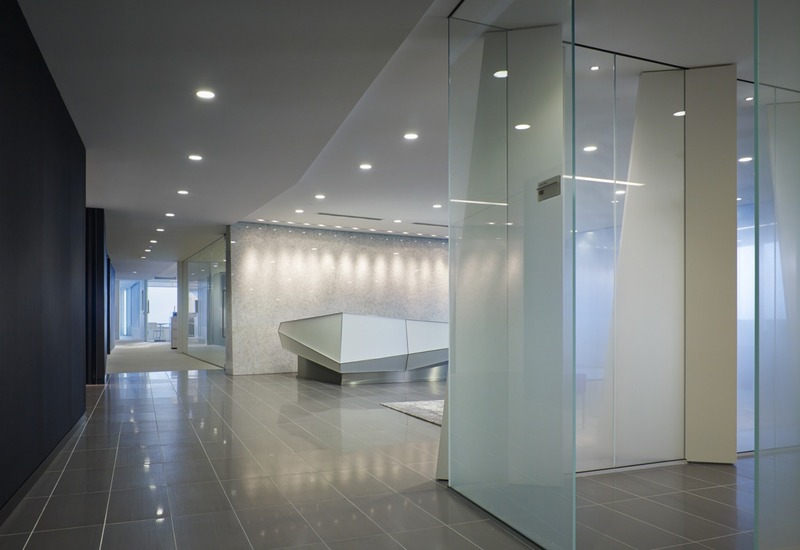 For instance, the glass enclosing the boardroom shifts from a soft haze to a near-opaque glittering sheet of metal as the reflecting light intensifies. These elements help create a new work environment that encapsulates the client’s unique reality while celebrating their strength, integrity and brilliance.